Preston Tyre Specialists have almost 40 years’ experience in the tyre trade, particularly in the business sector with vans, trucks and lorries which means we’re fully aware of the stresses that a commercial vehicle can endure. As a business, it’s crucial to ensure your workforce is safe whilst also keeping a close eye on your bottom line.  Under-inflated tyres can massively reduce fuel efficiency and increase rolling resistance – limiting your tyres’ lifespan and eating into your profits – which is why we not only recommend and fit the best tyres for your particular vehicle(s) but also help you maintain its operational efficiency and safety standards whether you have a small van or a fleet of trucks. Maintenance includes checks on pressure and wheel rotation, puncture repairs, tyre retreading and regrooving to ensure your vehicles are completely fit for purpose and not acting as a drain on your company. We always aim to provide optimum tyre life whether you need van tyres, truck tyres or any other commercial tyres and we can provide the service you require across the Preston and Lancashire area. All our expert fitters have vast experience in fitting 22 inch + tyres for a wide range of commercial vehicles and you can rest assured that you’re in safe hands. Our stock includes budget, mid-level and premium options and we can help you find the right tyres at the right price. 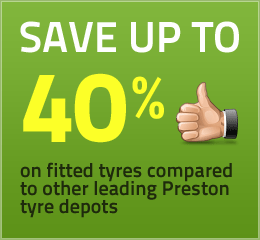 Contact Preston Tyre Specialists today and we’ll get your business back on the road.